I do. Novembering is what I call indulging in the deep nostalgia that takes over my brain in November. To me, it's a month for remembering. The summer is truly gone, and with Thanksgiving approaching and the Christmas holidays right around the corner, I can’t help but go back to thoughts of years past. 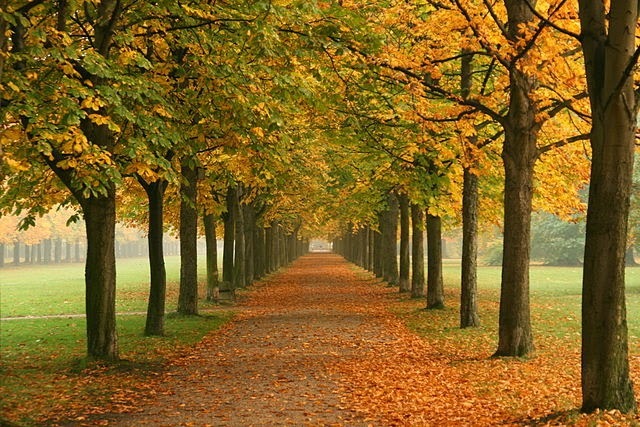 I love to take walks in the crisp autumn air and remember all the things I’m grateful to have lived and experienced. All the people who’ve touched my life and the things I’ve been lucky enough to do. A few years back, my mom passed away just before Thanksgiving, so memories of her warmth always fill me when I see the leaves turning gold. And I can’t seem to stop myself from collecting the prettiest autumn leaves and pressing them into the pages of a book—a yearly ritual my mom and I began when I was seven years old. I was one of four children and both my parents came from large families, so the fall and winter holidays meant our house was often filled with cousins and aunts and uncles and neighbors and the excitement of food and crafts and festivities. Novembering is also that special feeling I get from returning to familiar rituals—like making cranberry sauce from fresh berries or sticking cloves in oranges to make pomanders or finding my Grandmother’s big serving platter for the turkey—the kinds of things that I've shared with family and friends year after year. I can’t help the childlike giddiness that fills me with precious memories whenever November rolls around. By the time I get through the month and Thanksgiving arrives, I’ve catalogued a whole life’s worth of thankfulness. Do you ever go Novembering? Alicia Street is a USA TODAY bestselling author and a Daphne du Maurier award-winner. She spent many years as a dancer, choreographer and teacher and is a compulsive reader of every genre. She loves watching old black-and-white movies and inventing new recipes for soups. Alicia often writes in collaboration with her husband, Roy, and is grateful to have the kind of marriage that proves romance novel love really exists. You can connect with Alicia at her website or visit her on Facebook or Twitter. 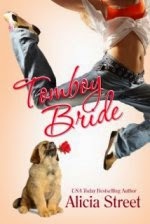 Her sweet romance novel, TOMBOY BRIDE, is on sale for just $0.99. Find it on Kindle or Nook. I don't go "Novembering", but what a lovely idea! What a lovely post. This is my favorite time of year! Can't wait to read your book. I clicked on the kindle link in your post and bought it. What a great deal! I love the idea of "Novembering", Alicia. Beautiful post! Thank you for sharing! I love this post, Alicia! November is the ideal month for counting our blessings and staying mindful of all we have--and have enjoyed over time. What a nice reminder to remain grateful during this month of Thanksgiving. Thanks, Ginny and Shanna! So nice to share with friends. Yes, I always feel nostalgic in November, Alicia, I just didn't know it had a name. Novembering describes it perfectly. LOL. Being a word lover, I like to sometimes make up my own.